How Much Is a Ticket for Driving Under the Influence in Florida? Florida law imposes strict fines for individuals convicted of driving under the influence. While most people already know this, not everyone knows that driving under the influence applies to more than just alcohol. You can also fall under the definition of being under the influence in the state of Florida if you have a blood alcohol concentration (BAC) of .08 or above. If you have to ask yourself whether or not you should get behind the wheel after having a few too many, then chances are the answer is no. Still having doubts as to whether or not you should call that Uber driver? Maybe the following consequences for driving under the influence in Florida will change your mind. If you are suspected of driving under the influence, a Florida police officer is likely to flag you down. Once you have stopped, they might ask you to step out of your car in order to better assess your condition. If they deem it necessary, they can ask you to take a field sobriety test in order to test your coordination. Doing either of these allows the police officer to better assess the situation before making an arrest. As per Florida law, the police officer can suggest a test, and you have the right to decline it. However, if the police officer has probable cause to believe that you have been driving under the influence and arrests you for a DUI charge, you consent to taking a chemical test of your urine, blood, or breath in order to determine your BAC (but you have the right to refuse it) under Florida’s “implied consent” law. There is a chance you are also asked to take additional tests, all of which cannot be refused without facing consequences. 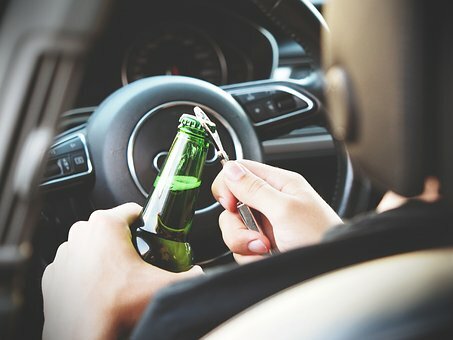 If you are charged with drunk driving in Florida, you need to make sure you protect yourself throughout the legal process. One of the best ways to do this is with the help of a Florida DUI attorney. For example, without qualified legal counsel to guide you throughout your DUI charges, you may not have otherwise been made aware of the “Ten Day” rule. Basically, this rule states that a driver has 10 days from their DUI arrest date to request a formal hearing and challenge their driver’s license suspension. In addition, some driver’s will be eligible for a “waiver” regarding the suspension of their license; in order to learn more about this option, please call a DUI lawyer for more information. DUI First Offense: Fines of $500 to $1,000 plus court costs, and maximum six months jail time. DUI Second Offense: Fines of $1,000 to $2,000 plus court costs, and maximum nine months jail time. DUI Third Offense: Fines of $2000 to $5000, and maximum jail time of one year for a misdemeanor, five years for a felony. Are you facing charges associated with driving under the influence? Our Florida DUI attorneys are here to help. Call The Ticket Clinic at 800-625-5232 to schedule a free consultation.